The province has commissioned a $165,000 report on the pros and cons of ride hailing and its potential impacts on the taxi industry. Transportation minister Claire Trevena says taxi industry and "others" will be thoroughly consulted. Days before the May 9, 2017, election, John Horgan, a candidate then but now the premier, promised to bring Uber, Lyft and other ride-hailing services to B.C. by the end of the year. Now, the government is backtracking, saying it cannot confirm when legislation will be tabled or what that legislation will include. Instead, it is commissioning a new report by an independent industry expert. Transportation Minister Claire Trevena announced the province has commissioned Dan Hara, of Hara and Associates, at a cost of $165,000, to consult with the taxi industry and other stakeholders ahead of any new government legislation regarding ride hailing. The report will serve as the starting point for a "made in B.C." approach to legislation which could come by spring of 2018 at the latest," said Trevena. "We know that people are impatient for a change in the system ... we know there are huge problems for people who want to use either a taxi service or other services," she said. "That's why we need to move on it." Trevena said the government's number one priority was passenger and driver safety. During the 2017 election campaign, the NDP didn't oppose ride-hailing companies but did say more consultation was needed with the taxi industry and other stakeholders. Travena called existing legislation "exceptionally complicated" and said six different laws govern the taxi industry that would have to be reviewed and some likely overhauled. "We know the taxi industry wants to be heard and we intend to do this in a reasonable and respectful way," said Trevena. Though Horgan previously said his government would look at the groundwork laid by Stone and the Liberals, Trevena criticized the Liberal proposal. "The previous government's March plan was derided by the taxi industry as destructive, so I don't think that would be a very good starting point," she said. Both the B.C. Liberals and the B.C. Green Party support allowing ride-hailing companies to come to B.C. Despite the NDP announcement, the Greens plan to table legislation on Thursday, party Leader Andrew Weaver announced. 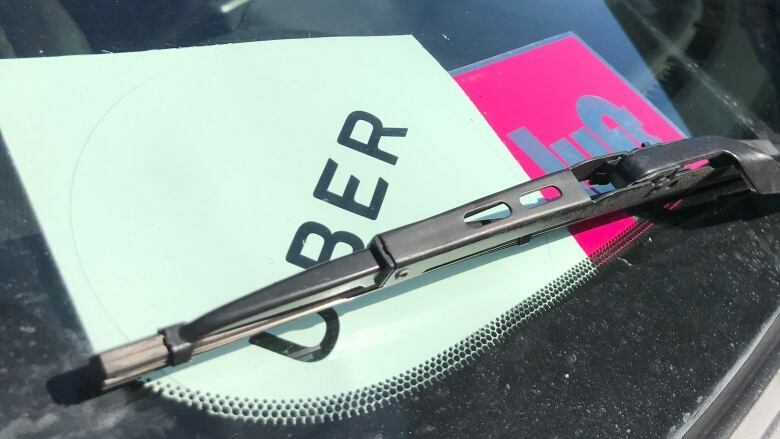 "All three parties agreed to bring in ridesharing in the last election and have now had significant time to consult stakeholders and assess the various ramifications of regulating this industry in British Columbia," he said in a statement. In March, former Liberal transportation minister Todd Stone announced his government hoped to welcome services like Uber and Lyft by the end of the year. That prompted many taxi drivers to throw their support behind the NDP ahead of the election, especially in Surrey. Liberal MLA Jordan Sturdy pointed out that some rural communities without transit or taxis are waiting anxiously for answers. "I think if government makes a commitment, then they should stick with their commitment," he said. "There's a real demand for ride-share. People want it. We need it as an alternative or a supplement to our transportation options."